UK Deeds. Legal Made Easy. Legally Binding. Quitclaim and Warranty Deed forms used when conveying an interest in real property. Deeds, including contract for deed forms and quick deed documents. These forms are used to buy, sell or otherwise transfer real property (i.e. land, real estate etc.). A Deed is a legal, written document or instrument that officially affirms a transfer of ownership of an interest, right or property from one person or entity to another. What is the purpose of a Deed? The purpose of a deed is to officially and legally transfer one’s right to title. What types of Deeds are there? There are two main types of Deeds: a Warranty Deed and a Quitclaim Deed. Quitclaim Deed: A Quitclaim Deed (also referred to as a Quick-Claim Deed) is a deed where the seller (grantor) transfers his/her interest in a specific piece of property to a buyer (grantee). During the transfer of ownership, the seller releases or terminates his/her interest in that property. In essence, the seller “quits” his/her interest (right and claims) to the property, hence the term “Quitclaim Deed.” In addition, unlike a Warranty Deed, through a Quitclaim Deed the seller does not warrant or guarantee that the property is clear of title, nor does the seller warrant or guarantee the they own the certain piece of property at the time of transfer. Warranty Deed: A Warranty Deed is similar to a Quitclaim Deed but also includes two fundamental guarantees: (i) that the title to specific property and the ownership interest to be transferred is free and clear of defects; and (ii) that the seller has a lawful right to sell and transfer the ownership interest to the buyer. The scope of the seller’s guarantee of clear title is not limited to the seller’s time of lawful possession but rather from the origin of the specific property. What are warranties are covered in a Warrant Deed? Generally there are 6types of warranties, referred to as covenants that may be present in a Warranty Deed. These 6 covenants are broken into two main categories: (i) present covenants and (ii) future covenants. Present covenants are guarantees made by the seller about the property at the time of the sale and include: (i) that the seller warrants they have title and possession to the property and can legally transfer title and possession; and (ii) that the seller warrants that the property is free and clear of any encumbrances (e.g. liens, mortgages, etc.). Future covenants are guarantees made by the seller about the property (and often the seller’s actions in relation with the property) in the future and may include: (i) that the seller will protect and defend the buyer from third party claims regarding the property; and (ii) that seller will do all that is necessary to transfer title to the buyer. If warranties are included in a Warranty Deed, do I still need to perform a title search? It is in the buyer’s best interest to perform a title search even if the seller is using a Warranty Deed because these warranties may only be limited to what had been previously disclosed to the seller. In other words, the seller’s warranties may not include instances where the seller was unaware of a defect to the title. A title search can reveal such defect(s) of title that may have even be unknown and undisclosed to the seller. What is a Deed used for? The use of a deed depends on the type of deed you are using and whether it is a Warranty Deed or a Quitclaim Deed. Warranty Deeds are commonly used in real estate sale transactions where the seller and buyer are unrelated or unknown to one another and have no pre-existing relationship. In these situations, the buyer wants to ensure that they have a legal recourse to recover their losses in the event there is a 3rdparty claim or dispute arising out of the title of the property. Quitclaim Deeds are commonly used in real estate sale transaction where: (i) the seller and the buyer are related (family members); (ii)the property had been jointly owned (e.g. divorcing or separating husband and wife, business partnerships, etc. ); or (iii)in government auctions (e.g.tax deed sales). What must a Deed include? Seller’s / Grantor’s Information (e.g. name, title (if applicable) and mailing address). Buyer’s / Grantee’s Information (e.g. name, title (if applicable) and mailing address). Signature of Seller/Grantor and Buyer/Grantee. How is a Deed recorded? A Deed is delivered to the county court house or other county location where the record of property deeds are housed. Once delivered, a recorder or record clerk will index and transcribe the deed in a public records database. 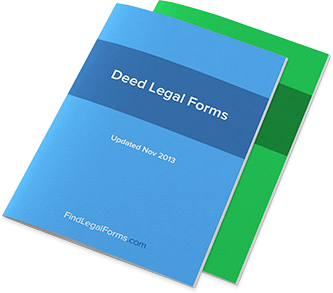 When is a Deed considered recorded? A deed (either a Warranty Deed or Quitclaim Deed)is generally recorded during the closing of a sale. In most cases, the escrow agent is responsible for ensuring that the Deed has been properly recorded. Such responsibilities are often set forth in an escrow agreement and may be also appear in a Real Estate Sale Agreement or Purchase Offer. Where is a Deed recognized and enforced? Deeds are recognized and enforced in all 50 states of the United States, provided that the deed has been properly recorded in a county of that state where the property is located.